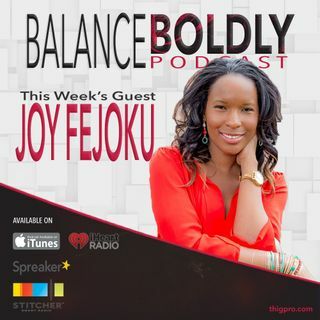 Joy Fejoku joins the Balance Boldly Podcast to share the challenges she encountered as a new business owner and how she overcame them. She also shares how she created the blissful life she’s now living and how she changed and cultivated mindset habits and behavioral habits that allow her to process herself, identify her triggers, and change the way she approaches life altogether. With a passion for personal development, Joy founded Habit Bliss, a community platform that focuses on conscious ... See More transformation through habit formation. With this platform, she connects both the New York audience and the international audience to thought leaders who promote change specifically through habit creation and development.